Warm Lamp Games released their Beholder demo on Steam which allows you to get a taste of this rather neat looking spy style game. We captured some Beholder Gameplay for your viewing pleasure – remembering the game is currently in beta form. The full game aims to release later this year. Beholder hurls gamers into the grim, hopeless society where they have the choice, as a state-appointed spy with keys to everyone’s lives in a local apartment building, to let them live, struggle, or die. You must peep and eavesdrop, bug apartments and search their rooms for whatever can threaten the authority of the State. You must profile and report on anyone capable of violating laws or plotting subversion against the State. But at what point is enough…enough? -You decide what happens: every decision of yours affects the way the story unfolds. The only thing that matters is the choice that you make when interacting with the game characters. Even a minor decision can have a disastrous impact. So, think twice and be wise! -They aren’t just objects: every character that you meet in the game has a thoroughly considered personality with their own past and present. Tens of characters create a unique puzzle of relationships where you have to communicate and decide on your further steps. -The choice is going to be tough: If you are given power to destroy privacy, should you follow the orders of the given? Or should you treat those, that you spy on, the way they deserve? But who decides what is deserved? What if two different people deserve to be saved, but one has to go? Who will you choose? Is there a lesser evil, anyway? 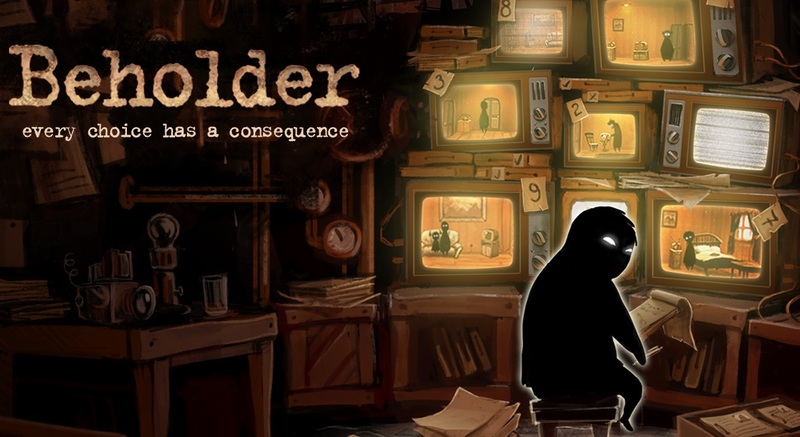 -You don’t know where you’ll end up: Beholder is a game of multiple endings. You will have enough info to consider and decide wisely but there is always something that you may not be aware of. Well, this is not a beautifully calibrated virtual reality! This is life! And it’s real!